FIELD 3 is the final and third part of the FIELD portion of the RC (Required Curriculum – 1st Year), a unique part of the HBS MBA experience. And as the first year reaches its final stretch, we’re fully in the swing of setting up our micro-businesses. FIELD 3 asks you to form teams with 4 or 5 other MBA students. This is the first time this year we’ve been asked to form our own teams – giving you the opportunity to test your pitching skills and powers of persuasion with fellow classmates that your idea is viable and deserves attention. Our team is focusing on the perennial battle that many feel around exercising, and needing that ‘extra little kick’ to get out and exercise or eat healthily. So we’ve started Badger. Badger is a new service that links personal trainers and nutritionists to users remotely on demand. The idea is that people get much more motivation when they have some form of accountability to a real person, and people pay for a gym trainer just for that reason, but that’s just too unaffordable for most people. We hope that this can bridge the gap and give a real connection at a fraction of the cost, and help people to achieve what they want to achieve. We’re feeling pretty pleased that we’ve managed to get our service up and running, and we’re accepting beta testers if lovely readers want to give it a try. Just go to joinbadger.com to sign up! FIELD3 obviously isn’t exactly the same of starting a real business. The timings are pretty compressed, with due dates based around the academic calendar, and a pretty limited scope. However, it’s a great chance for many in the MBA program to try (and maybe like) something they have never tried before for whatever reason. It’s been a great experience so far, I’ve tried and learnt some completely different things, and I’m really excited to see how we get on. HBS is the only business school (to my slightly outdated knowledge) that has this sort of program required as part of the curriculum. I think this is a great feature as you get a completely diverse mix trying out starting a business, and I’ve already heard of some (FIELD has been running about 5 years now) that have gone through FIELD and completely changed their career direction because of it – an achievement in itself. I’ll keep you posted with how Badger does! FIELD 1 – Leadership Intelligence: An introspective classroom based-program focused on self-awareness. FIELD 2 – Global Intelligence: A global immersion program, with a team-based project in an emerging economy. FIELD 3 – Integrative Intelligence: Groups of 6 MBA first years are tasked with launching a microbusiness within the semester. I’m not sure how I feel about the module names (?! ), but click here for more information about: HBS FIELD. In each section of FIELD, the emphasis is on ability for practical ‘doing’ skills, rather than knowledge-based learning. 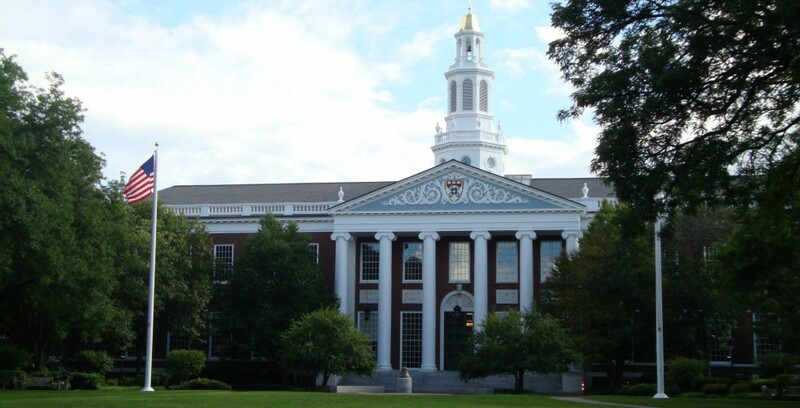 I’ll admit I was intrigued by the experience prior to HBS, and while many programs now offer some sort of ‘experiential learning component’ the effort and resources put into it by HBS did make it one of the more unique programs. Most of the top schools offer some form of experiential learning, but I found it quite unusual to a) have it scheduled as part of the formal curriculum and also b) what this enables is to work in a group with your fellow students rather than an individual experience. Instead most other schools focus on student-driven/optional programs which while giving greater flexibility inevitably offers a different type of experience – if it happens at all – due to all the other great things that are competing for your attention. FIELD 2 takes place in the first year, with preparation in Cambridge and a placement in between the two semesters. 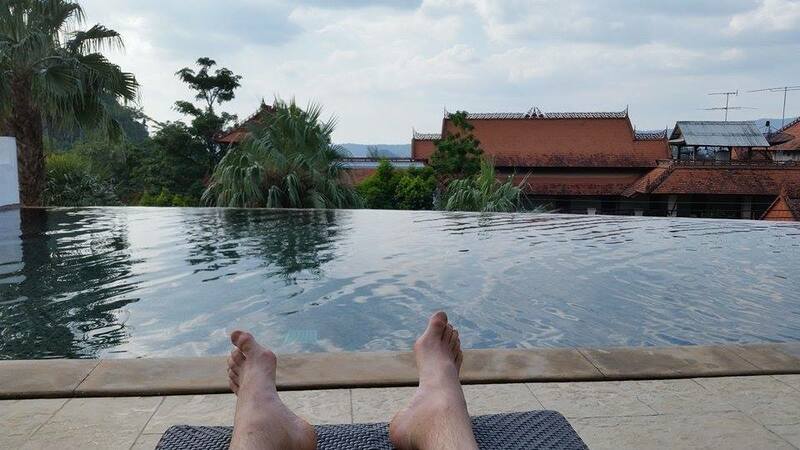 I’ve been fortunate enough to spend my time in Chengdu in China – not somewhere I was familiar with before my placement. While not a common tourist destination, it’s certainly somewhere interesting to visit from an academic point of view. The course places you in a small team of 6 MBA students, assigned a project from a local company in your placement city and given a week to propose a solution. A significant portion of the week is dedicated to understanding the local market, tastes and preferences, ensuring mutual benefit for both team and company. It’s been a fascinating week, and I was really lucky to be working with a social enterprise in startup community, which completely challenged my own preconceptions of business in China. 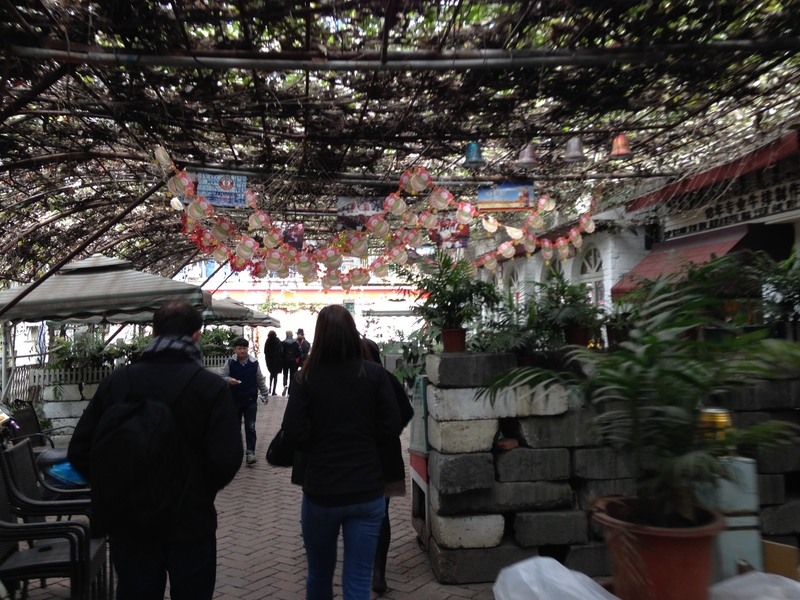 Working with them led to a very different type of learning from just a tourist trip/b-school trek. I also feel pretty pleased to have completed a small project that really seemed to influence our hosts, and changed the way they were thinking about a problem. They were more than happy to stay in touch and promised to share the results, which we will hopefully get to see soon! At HBS you’re an active participant. In everything. From class, to extra-curricular involvement, so with 100% Type-A personalities organizing a social gathering, the pace is relentless. It’s not like my undergraduate studies, and I already treasure the rare hour or two to myself I can allow myself every couple of days. The first few weeks (edit: month and a half! Really?!) are everything I expected, and more. There’s been so much I could mention right now, and simply haven’t got room. I’ve been trying to decide how I can keep this updated in a sensible way as the initial rush begins to calm a little, considering my new workload. So I’m going to give a brief update and try and regularly cover a topic I think might be interesting to those outside the ‘bubble’. HBS is divided into sections, with roughly 10% of the class in each (currently 94 in mine). I’ve been allocated to the best section, obvs! The section becomes your academic and social center. 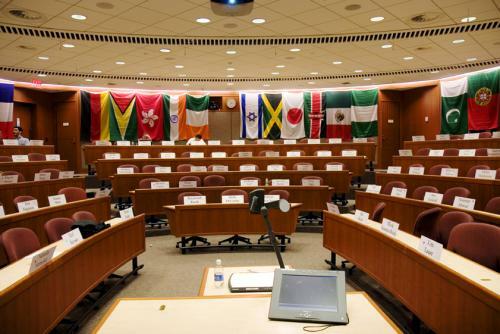 All classes are taken together – a significant piece in itself due to the case discussion method in use at HBS. We’ve recently discovered that there is no ‘science’ to putting sections together, no late night evenings with lots of coffee looking at the backgrounds of the 900+ students as we’d assumed up until now. They split the class into 10 equal parts, and the only consideration is to check for a roughly even mix of international students to US nationals. The amazing diversity of the class admitted each year does the rest for them, and so far it’s incredibly successful. The diverse background of my classmates is staggerring and much more different than I’d expected based on the traditional background of your typical MBA. If you’re looking at HBS as a possible school, I strongly urge you to see a class if at all possible (ideally two differing subjects) and if not, at least watch the video above. The level of preparation is extensive, allowing the class to take a more ‘free-form’ discussion rather than a tightly scripted one. As well as inside the classroom, your section becomes your social unit too, actively encouraged by the school – a close bond outside the classroom fosters openness and sharing within it. It doesn’t always happen and work out (there are always whispers and rumors of the ‘broken’ section), but usually it does. It begins from the first day and we now have an elected president, treasurer, social chairs, athletic rep, international rep. Intra-mural sporting events within the class are competed between sections, party attendance is a competition between each section for the highest… competition seems to be a theme at HBS. So far, we’ve been what feels like an incredibly busy time. Apparently it is not. Extra-curricular activities are just kicking off, the recruiting season is now about to begin (we have been protected so far at HBS, unlike some other schools, but this is about to end already) and exhaustion levels look likely to escalate. I was aware ‘professional London’ is a pretty multicultural community, but the last few months have really made me realise how much. 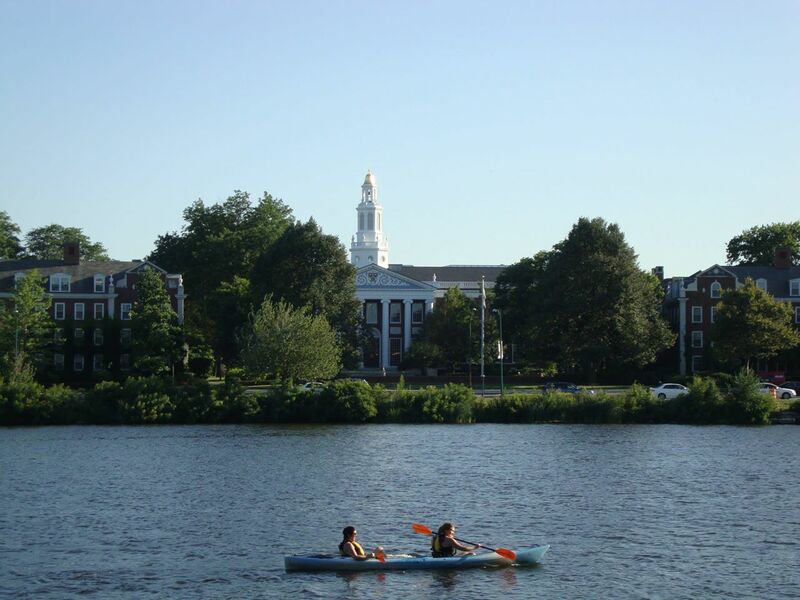 With just over a month to go before we start arriving on campus for registration, fellow HBS ‘admits’ have started to leave on last minute trips abroad – holidays, or more often, trips home to family. Our group in London contains a surprisingly (at least for me) few Brits in our group, and is already a wonderfully diverse group. I think I’ve counted a few more British candidates coming from other international cities as well, rather than from the UK. 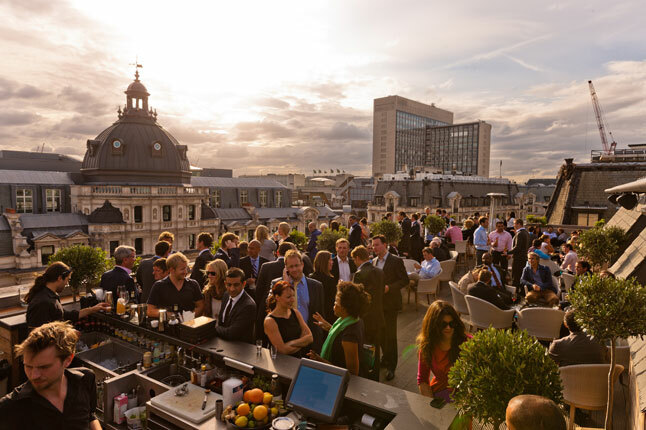 Professionally, the group is rather less diverse (unsurprisingly in London, as the dominant industries – finance and consulting – dominate) but this is more than made up from a real mix of experiences and personal interests once you get past the stock ‘so, what do you do?’ question. It’s been a thoroughly enjoyable spring, enough to concern me that all this MBA nonsense is going to get in the way too much of having a good time (but I suspect not)! Cheers to the HBS London bunch, can’t wait to see you all in Boston!